Company founder, Stephanie Schneiderman was born in Havana, grew up in Mexico City, lived and studied in Miami, went to Graduate School in Phoenix. She has a B.A. in Political Science/International Relations, a Certificate in Latin American/Caribbean Studies from Florida International University, and received a Masters Degree from The Thunderbird School of Global Management in Glendale, Arizona. Latin blood runs through her veins. Stephanie has traveled extensively throughout Mexico and, given her cultural and language fluency, has gained access to many off the path locations and communities. When her friends ask why she always goes back to Mexico, she replies, “Mexico is a vast country with so many diverse regions. You could spend a lifetime visiting Mexico and never see it all”. 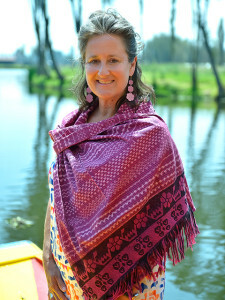 Tia Stephanie invites you to share her passion for Mexico and the Mexican people, our neighbors to the South. Susan chose to follow her passion of travelling both before and after graduating from Humber College in Interior Decorating. She has visited 43 countries on 6 continents. 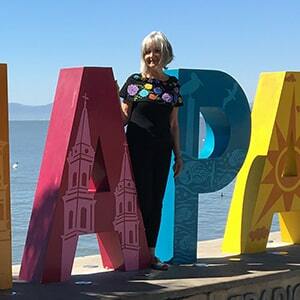 After a lifetime of working in the travel industry in retail, wholesale, print and even a major hotel chain she began to look for a place to live that was warmer than her native Canada and settled on Lake Chapala, Mexico in 2010. Living in Mexico was an easy transition so she is carrying on her career in travel by assisting you to get all the information you need to get the very most from your Latin America vacation.